El combo de cuerdas del Amsterdam String Trio, reunido diez años después de su separación en el seno del sello exclusivo de Ernst Reijseger. El enclave y el formato parecen negar la cualidad jazzística de Horsthuis, Glerum y Reijseger, pero cabe escucharlos en "Nor Night, Nor Day", "no Rest" o el sutil y be­llísimo "The Mousing Minuets" para reconocer su maestría en el dominio de la composición. Un velo de eco casi palpable adorna sus sonidos de cuerda, muy apropiadamente graba­dos en la Villa Medlci-Giulini. Las composiciones, todas debidas al casi anónimo pero for­midable Horsthuls, celebran distintos espacios con igual autoridad. 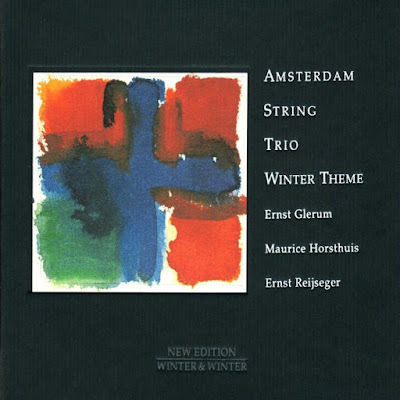 Es así con "Winter", "Wintertheme" y "Wedding Music. La sonoridad clásica de los ins­trumentos se desborda en alardes fantasiosos (De Spul y Le Tombeau de lean Nicot). W&W siguen ofreciendo cali­dad en el envase y, sobre ma­nera, en el contenido musical. Que se repita pronto. American saxophonist Tim Berne is another unflinching radical, though of a fiercer stamp. This reissue of a 1992 JMT Records session (the demise of that company led to Berne going indie with his own Screwgun label, taking his music in different directions with it) finds Berne with an intriguing band including soul-sax star David Sanborn, guitarist Marc Ducret, Hank Roberts on cello, Joey Baron on drums, and brief appearances from Herb Robertson on trumpet and Mark Dresser on bass. 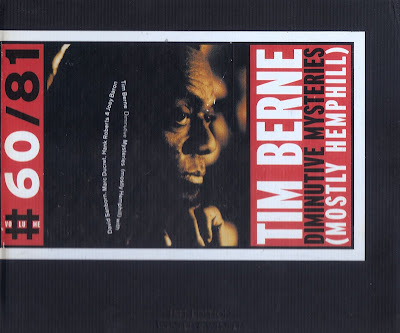 The music precedes Berne's later-1990s move towards highly wrought, rhythm-pattern pieces, and sounds more like an earlier incarnation of free-jazz with contemporary-classical and Mingus-workshop undercurrents - all the pieces but one being by Julius Hemphill, Berne's most significant teacher. Berne plays floor-shaking baritone as well as alto sax here, and the music is a fascinating collision of barrelling nu-swing and angular free jazz. Sanborn is as fluently song-like as ever, yet sounds as at home threading his lines around the sporadic explosions of Baron's drumming as he does against a funk backbeat. The pieces are raw-boned and clamouring but rigorously structured and spine-tinglingly harmonised. Sometimes they sound like skewed bebop and sometimes like stealthily building improv, and Sanborn's soul sound - particularly in the sopranino intro to The Unknown - loses none of its famous wail.